“This file cannot be previewed because of an error with the following previewer: PDF Preview Handler for Vista”. You might’ve seen this pretty common error in Outlook when you cannot preview PDF files in the preview pane. This happens on 64-bit Windows. Well, it’s a pretty easy fix. 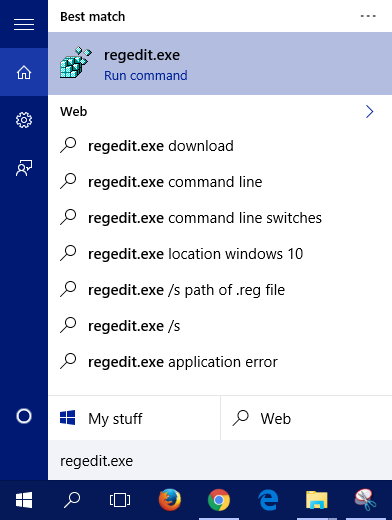 Click the Start button, type regedit.exe and open it. Click OK and close regedit. That’s it! You could download either with installer or without. I choose to do the one without the installer. 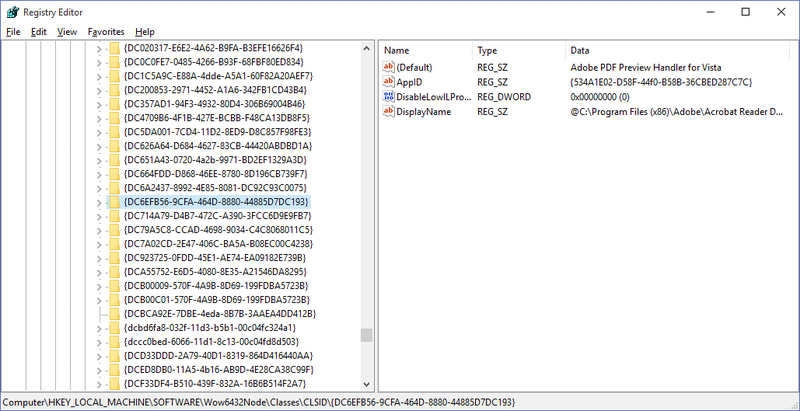 Extract the downloaded files. You’ll see two folders. 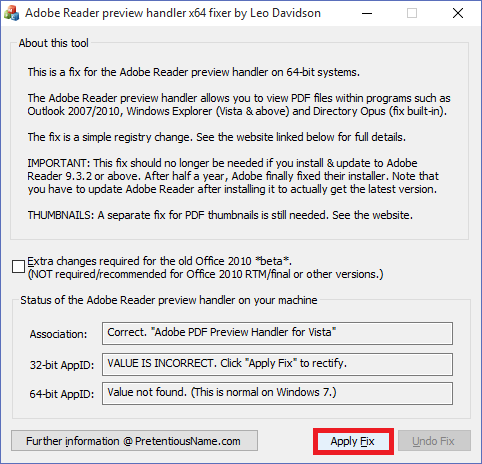 Open the one that says “Fix for x64 Adobe Reader preview handler”. 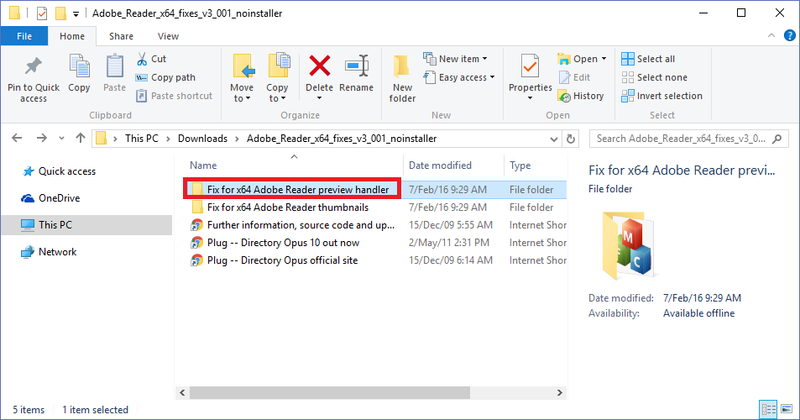 Run the preview handler fix utility and click Apply Fix.